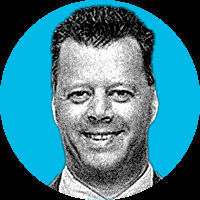 Mark Buchanan, physicist and science writer summarizes, "Some of the leading names in economics -- New York University's Paul Romer and Nobel laureates Robert Lucas and Edward Prescott -- have gotten into an unusually public tiff over the proper use of math. Academic as it may seem, the battle reveals a deeper rift in a discipline that is supposed to be aimed at making us all better off." In an unceremonious outburst, Romer accused several colleagues -- including Lucas and Prescott -- of using mathematics dishonestly to support their ideological beliefs. 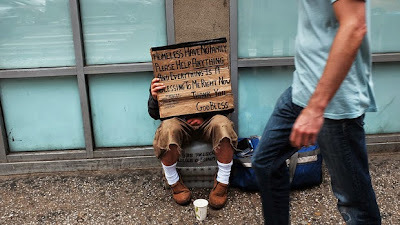 In constructing theories about how economic growth happens, he suggested, they slipped preposterous assumptions into their economic models to guarantee the results they wanted. His denunciation of such “mathiness” has triggered a storm of commentary to which my Bloomberg View colleagues Justin Fox and Noah Smith have made noteworthy contributions. The problem Romer identifies, though, goes far beyond the growth theory in which he specializes, and runs deeper than a mere squabble between academic camps. He is objecting to the way many economists use mathematics, which is different from the way physicists or biologists or engineers use it. There's some weird history here. In its style, a great deal of modern economic theory follows the norm established in the 1950s by Kenneth Arrow and Gerard Debreu. They started with an extremely abstract mathematical model of an economy -- a set of producers, consumers and commodities -- and then built theorems about its properties. Their famous result was that, under a gamut of conditions, this imaginary economy would possess a unique equilibrium, one set of prices that would perfectly match production and consumption. Debreu held a position at the Cowles Commission at the University of Chicago -- a research institute devoted to linking economics with mathematics and statistics -- where he helped educate a flock of young mathematical economists in this approach. They spread it through the profession, where it still prevails, with economists setting out axioms and assumptions, making propositions and proving them. As a result, many of their papers end up reading like lectures in pure mathematics. 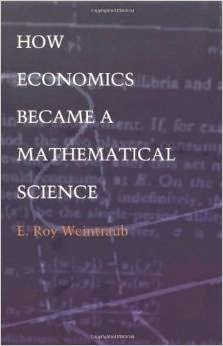 In How Economics Became a Mathematical Science E. Roy Weintraub traces the history of economics through the prism of the history of mathematics in the twentieth century.